Lydia Ko has got her 2019 season off to a solid start with a Top 10 finish in the opening event of the LPGA Tour season at the Tournament of Champions this morning. The 21-year-old completed the week in eighth place but will be ruing a final round of six-over after starting the day tied for the lead. 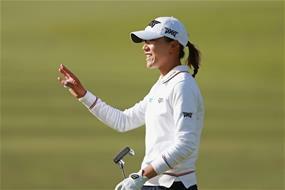 She finished seven shots behind Korea’s Eun-Hee Ji who claimed her fifth LPGA Tour victory. Windy conditions were tough for all players, but with opening rounds of 66, 68 and 66 for Ko, the new year is looking positive for the Kiwi.